"I will visit Ukraine soon, I want to go to the east." US Special Representative for Ukraine Kurt Volker will visit Ukraine soon, according to Voice of America. "I will visit Ukraine soon, I want to go to the east," Volker said on the sidelines of the Brussels forum. He said no date was set yet. Last time Volker visited Ukraine on the eve of his meeting with Russian presidential aide Vladislav Surkov in Dubai on 26 January. 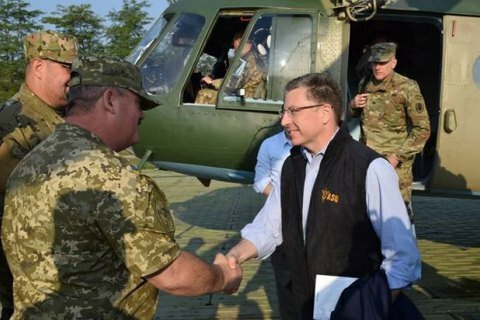 While in Ukraine, Volker met President Petro Poroshenko, General Staff Commander Viktor Muzhenko and the secretary of the National Security and Defence Council, Oleksandr Turchynov. Russian media reported that Volkov and Surkov were to meet in early spring.